Quick and easy is the name of the game in today’s kitchens. We all feel 24 hours are not enough to pack in all that we need to do and also want to do, but unfortunately that is what we all get! We live life in the fast lane, drive fast cars and eat fast food. But wait a second, with due respect to a precious commodity that is time, let us clarify that fast food is called fast food not because it is quick to cook but only because it can be served at a moment’s notice. Everything is prepared and all it needs is assembly. When it comes to fast food that is fast to cook then the testing time in the kitchen begins. What can be fast food? A quick meal that is easy to make requiring no fancy equipment or special skills. It could be a meal that is quick to prepare. But let me reassure you, whoever has some experience in the kitchen, knows that everything takes time! 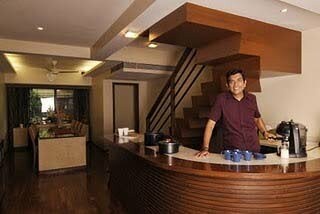 Whether you are kneading dough, soaking the pulses, chopping the vegetables, grinding the masalas, waiting for the pressure cooker to whistle or the microwave oven to buzz, all these activities need time. Yes, what can be done is have things ready so that the actual time from ‘raw to table’ is not much. Fast food can also be delicious. And if the meal is to be quick, let it be so, but ensure there are no shortcuts from the health point of view. If it is bread instead of chapattis, buy brown bread instead of white, if it is one dish meal make sure that items from all the food groups go into it. 1. Plan the menu – Make a list of meals for the week keeping in mind that the whole family has to be pleased. 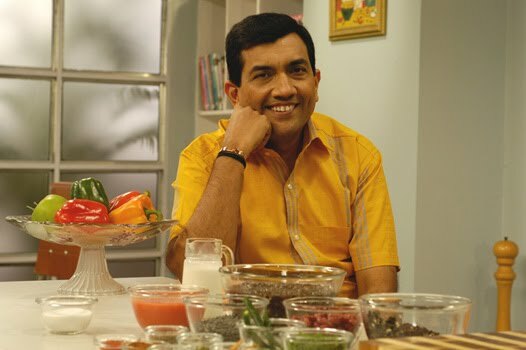 You want to feed the family healthy meals and make the most of the rupees too. 2. Shop – And shop going by the list. Pick up provisions for extra mouths to feed in case there are unexpected guests. If not used, they can always be incorporated in the following week’s meals. 3. Take an hour or two on an off day or weekend to prepare the masalas, grind the gravies, scrape the coconut, boil the stock, boil the dals, prepare dosa/idli batters etc., and then freeze them in portions. We have no dearth of readymade ginger and garlic pastes, tomato purees, etc. that can be made use of. We can also make use of precut vegetables once in a while when time is really short. Blanch spinach and keep. The colour is retained and all you have to do is puree it. Some even like to freeze makhni gravy or onion-tomato masala that can be the base for many recipes. We recommend freezing paranthas, tikkis, etc. for those absolutely rushed moments. 4. Keep measuring cups in every tin. If you have the cup to measure rice for one family meal kept in the rice tin, keep an appropriate one in the dal tin, and flour tin etc. It helps to cook in the correct quantities and in case you do plan to cook for two meals (so that one can be frozen) then the measurements can be increased proportionately. All that cooks needs a flame. Or, well, the oven or the microwave! We highly recommend prudent use of the pressure cooker. It is versatile and a real blessing. If you have a large one, use the containers to cook dal, rice and potatoes together. Three things in semi preparation in twenty five minutes! While it is whistling, the chapattis can be made. If you have a microwave, let the rice be done in it while you use the gas flame for the vegetables, dal or curry. Another de-stresser in the kitchen is innovation. If you are cooking by the book and some ingredient falls short, do not waste time in rejecting the recipe…rather go ahead and innovate, use something else! If you know the working of an ingredient then you are in total control. 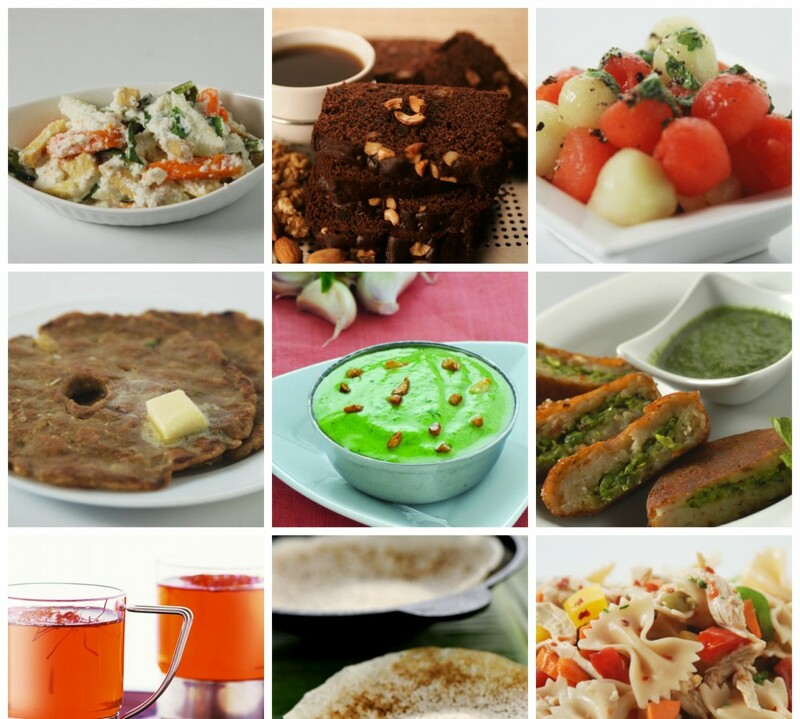 Here are some recipes that are really tasty and also get ready in a jiffy. Hope planning meals and cooking goes from being stressful to being a stress buster for you like it is for me! Do let me know. ‘Atithi devo bhava’ we Indians are taught this phrase and its meaning since our childhood. We all follow this custom since then. What happens when guests come over to your house, unannounced! After the customary pleasantries you find yourself rushing into the kitchen trying to whip up something to serve the guests. After all we don’t serve just chaiand biscuits anymore. All of us want to make something special for guests and not the normal routine khana and mingle with the guests at the same time. One thing I have noticed is that a dish which involves a stuffing of any sort automatically becomes special, be it a Bharwan Bhindi or a lavish stuffed chicken. Stuffing is basically filling a cavity in a food item with other edible ingredients. Stuffed dishes offer us more scope for using different textures, colours and taste in one dish itself. Hence making it very interesting to prepare and eat. Dishes with stuffing can most certainly act as a complete meal if the right ingredients are used. Almost every cuisine in the world has a traditional stuffed dish – be it Italian Ravioli, Spanish Stuffed Chilli Peppers or our very own Indian stuffed kulcha’s and parantha’s or even samosas. Preparing a stuffed dish need not be complicated. All you need is something with which you can create a cavity. Vegetables like bell peppers, Bhavnagari chillies, tomatoes, potatoes, brinjals, lady fingers and mushrooms; fruits like lychees, apples and dates as well as dishes like paranthas, kachoris, tikkis and omelets etc. make an excellent base for a stuffed dish. What do you use as a filling? Anything! There is no hard and fast rule about ingredients for a filling. Cheese, potatoes, vegetables, mince, sea food, dry fruits, nuts, paneer, eggs – it works. The dish can be baked, steamed, pan fried or deep fried. The good part about making a stuffed dish is that you can let your creative juices flow free. Dishes produced by this method of cooking may seem fancy and look like the cook has toiled in the kitchen for hours to create it, but it is not the case. If you take care of a few basic things making a bharwan dish should be as simple as any other recipe. It is important that the cavity, into which the stuffing is put, should be correct. If it is too thin then the stuffing may ooze out of it and the resultant dish may end up looking shabby. If it is too thick or chunky the stuffing inside it may not cook well. It is also better if the filling is on the drier side. If the filling is to wet or is like a gravy then the entire dish may end up becoming kind of soggy. You should also ensure that the outer covering and the filling inside both complement each other in terms of taste, texture and visual appeal. Since I went to Muscat this week, I thought I would share with you one of my stuffed recipes with Arab influences – Taboulleh Stuffed Tomatoes. Taboulleh is a classic Arab dish that is made using bulghur or broken wheat. This recipe of Taboulleh Stuffed Tomatoes is sort of a fusion dish. I am sure all of you must have made some innovative dish using the stuffing method, hoping that you will share them with me, just like how I share my recipes with you. Yaad rahe – khana, khushi aur pyaar baatne se kabhi kisi ka bura nahin, sirf bhala hua hain!You must also try making these -I have added my own twists to it and this dish has collected many praises by everyone who has eaten it. Blanched tomatoes are scooped and the cavity is stuffed with a mixture of bulghur, scooped out tomato pulp, radish, onions, parsley, salt, pepper and lemon juice. This dish is very easy to make, is tasty and is very visually appealing. This dish has it all – the crunch of the bulghur, slight pungency from the onions and radish, freshness from parsley and tomato and plenty of zing from the crushed pepper and lemon juice. Healthy and tasty is the combination that we are all looking out for in our recipes and this one has just that! It is low in fat and high in proteins and also keeps your stomach full for a long time. You can also add ingredients of your choice to the tabbouleh mixture, after all what is life without a little innovation. Hope you try this recipe in your home, it is easy to make, and you can make a batch, keep it in your fridge and bring it out just before eating. It’s an attractive dish and is made in individual portions so it is also ideal party food. 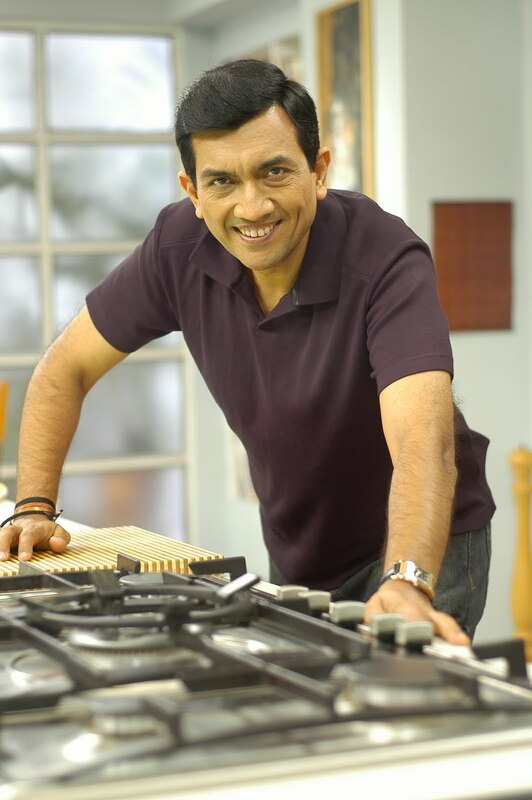 Keep cooking, stay happy and stay stuffed! The major thought that gnaws away at time is the ‘decision’ of what to cook. The hardest part of cooking a meal in not the making but the deciding! Don’t you agree? So let’s take these four steps, a little thought provoking perhaps! 1. Plan the menu! Make a list of meals for the week keeping in mind that the whole family has to be pleased. 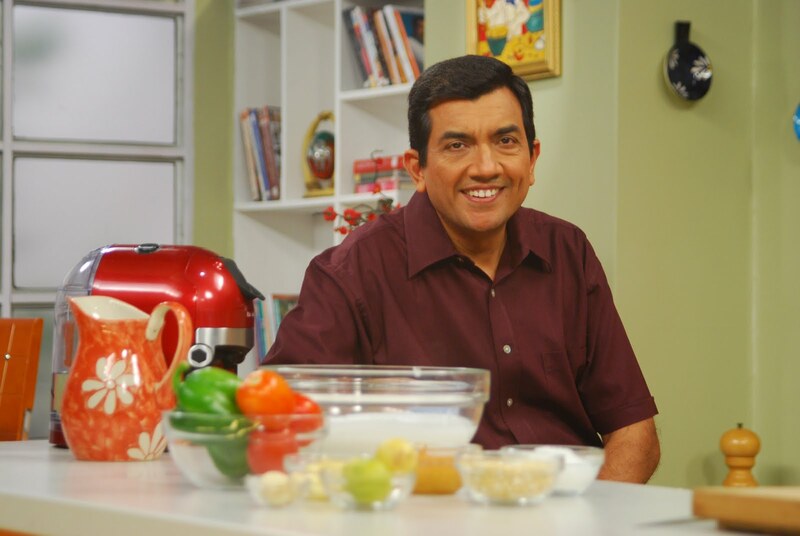 You want to feed the family healthy meals and make the most of the rupees too. 2. Shop. And shop going by the list. Pick up provisions for extra mouths to feed in case there are unexpected guests. If not used, they can always be incorporated in the following week’s meals. 3. Take a hour or two on an off day or weekend to prepare the masalas, grind the gravies, scrape the coconut, boil the stock, boil the dals, prepare dosa/idli batters etc. and then freeze them in portions. We have no dearth of readymade ginger garlic pastes, tomato purees etc. that can be made use of. We can also make use of precut vegetables once in a while when time is really short. Blanch spinach and keep. The colour is retained and all you have to do is puree it. Some even like to freeze makhni gravy or onion-tomato masala that can be the base for many recipes. I recommend freezing paranthas, tikkis etc. for those absolutely rushed moments. 4. Keep measuring cups in every bin. If you have the cup to measure rice for one family meal kept in the rice bin, keep an appropriate one in the dal tin, and flour bin etc. It helps to cook in the correct quantities and in case you do plan to cook for two meals (so that one can be frozen) then the measurements can be increased proportionately. Happy Lohri ! Most Punjabis today in the North would be lighting a bonfire at sunset and toss khajur, rewaris, til, phulian as offerings in it. Lohri marks the end of winter! I think it would be a relief for them as the temperatures had gone unnaturally down this last fortnight. For us here it was a drive down early yesterday morning to Pune via Navi Mumbai. Accompanied by our COO Rajeev Matta and Mr Vivek Shetty, had a chance to see the world class DY Patil Stadium Nerul from inside. There was a cricket match in progress and guess who we met? Balwinder Singh Sandhu, who was in the 1983 Indian cricket team that brought home the World Cup. He was there coaching the cricket team. Started the drive down to Pune and stopped at the Food Mall for hot coffee, idli and upma. People stopped by to say hello and take the autograph. Our destination was Sharad Pawar International School in a secluded area beyond Pune airport. The facilities are impressive we were there just to explore for future possibilities. Had a good lunch in the school. Finished and dropped in at my in-laws home for a quick cup of tea. Driving back stopped at Inorbit Mall at Vashi to study the food trends and peoples’ preferences and browse through the latest kitchen gadgets. Bought a few things! Sampled some hot green tea. Everything was fine and day seemed to be on clockwork till the design of the Mall hit us! The exit was diagonally opposite the entry and we took a long time looking for the car park, lugging the packages along! Looking forward for Pongal celebrations this evening at Banana Leaf in Juhu-Versova link road, organised by my friend Mr. Vivek Shetty. As the 17th comes closer, I suggest the serious marathoners ( and they would have too!) start the carb loading diet. Have a pasta party on Saturday night! And till then enjoy bread, cereals, potatoes but go slow on oil and fat! Some recipes for you here. Wishing you all a Merry Christmas! May the season bring for you the perfect recipe of good health with wealth, prosperity and wisdom. Like each menu is made of a composition of different dishes, may the menu of your coming year be filled with exciting and fulfilling moments. Menu planning for a chef is an entirely different story. We know the clientele but we really do not know them personally (with a few exceptions of the regular patrons). So we try to include dishes that have a story or a background with the hope that at least some of them will identify with it. Take the case of Lalla Mussa Dal which is on the TYC menu. It is a hot favourite. There is an interesting story behind how this dal came into being. Pre independence when my parents used to stay in Pakistan they used to often travel from Lahore to Karachi. The first station that the train halted in the morning was called Lalla Mussa. This place was famous for its delicious food and specially the dal. My father, who was a complete foodie, replicated the dal at home and we all simply loved it. So when I was planning the menu for The Yellow Chilli I said to myself that this dal should be included in the menu. It was indeed a wise decision. In fact we are doing this dal for our guests today (a day of meetings for the channel) along with Dum Paneer Methi Bhurji, Nizami Tarkari Biryani and Kerala Parantha. Starting with Shammi Kabab and Fried Colocassia and ending the meal with Mango Phirni. So till the week ends and a new one begins, have a party!